Star athletes Larry Fitzgerald and Aaron Gordon; celebrities Chris Spencer, Terry Crews; and CEOs Arnold Donald of Carnival Corporation and Quintin Primo III of Capri Investment Group rocked the audience and inspired elation with their comments on community involvement, civic engagement and exercising the right to vote at The Sports & Music Reunion presented by Carnival Corporation & plc, the world's largest leisure travel company, at The London West Hollywood at Beverly Hills. During the standing room only private event, hosted by Chris Spencer and Andre Farr, Farr spoke of "Only 27 percent of African Americans turn out to vote. How can we complain if we don't do anything? You can vote any way you want—but just vote. We must use our platform to inspire community engagement. It's the only way we can change the direction of our community." Quintin Primo III, Chairman & CEO of Capri Investment Group, a global real estate investment manager and investor in Baldwin Hills Crenshaw Plaza in Los Angeles, received an equally ardent response from the audience when he noted, "We've experienced centuries of oppression in this country. Our men have been incarcerated, or shot on the streets. These are reasons we've often given up hope and haven't gone to the polls. It's not an excuse, but it makes perfect sense. Tonight, in this moment, we must change all that." Farr will help change all that with the revival of a wildly successful Sports & Music Weekend, which he announced that night. 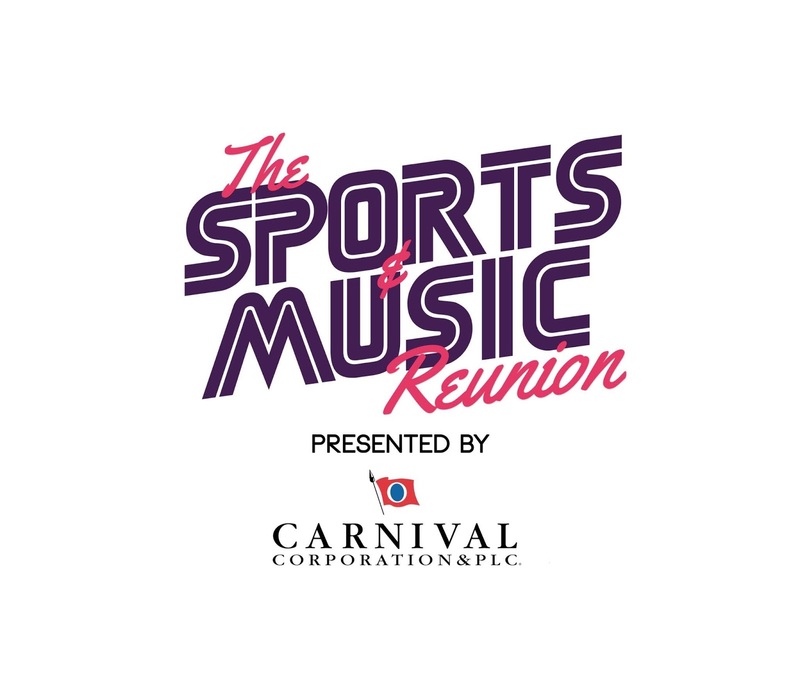 It will be a bi-annual, multi-year series of special events that will bring together celebrated athletes, entertainers and business leaders to not only celebrate with a purpose but also effect real change in community involvement, voter registration and voter engagement. The next event is the BAY IN LA Weekend presented by Carnival Corporation set to take place Labor Day Weekend 2018 at Baldwin Hills Crenshaw Plaza. "Carnival Corporation is dedicated to building upon our legacy as an exemplary corporate citizen and we are proud to support Andre Farr and his team on a very successful 2018 Sports & Music Reunion, " Roger Frizzell, chief communications officer for Carnival Corporation, whose nine global cruise line brands include Carnival Cruise Line, Cunard, Holland America Line, Princess Cruises and Seabourn, said. Quintin Primo III, chairman & CEO of Capri Investment Group, received the Entrepreneur of the Year Award; Terry Crews, actor, artist, athlete and activist, received the Leadership and Valor Award; and Danielle Frost, founder & CEO, A Frostchild Production, received the Sports Event Producer of the Year Award. Carnival Corporation & plc is the world's largest leisure travel company and among the most profitable and financially strong in the cruise and vacation industries, with a portfolio of 10 dynamic brands that include nine of the world's leading cruise lines. With operations in North America, Australia, Europe and Asia, its portfolio features Carnival Cruise Line, Princess Cruises, Holland America Line, Seabourn, P&O Cruises (Australia), Costa Cruises, AIDA Cruises, P&O Cruises (UK) and Cunard, as well as Fathom, the corporation's immersion and enrichment experience brand. Additional information can be found at carnival.com, fathom.org, hollandamerica.com, princess.com, seabourn.com, aida.de, costacruise.com, cunard.com, pocruises.com.au and pocruises.com. IntraLink Global is a digital and branding agency focused on making brands relevant. Brand experiences have to inspire, be compelling and be simply defined to break through. They help their clients engage, adapt and innovate in a rapidly changing world. To do this, they practice marketing as a whole—integrating brand strategy, content marketing, public relations and technology development to yield measurable results, giving brands purpose and relevance. Ultimately, this model redefines public relations and the way the public experiences it.